Vietnam's industrial and logistics property sector has seen a wave of foreign investors in recent years hoping to seize the opportunities from the country becoming a new regional manufacturing hub. The launch of the $200-million joint venture BW Industrial, between leading global private equity firm Warburg Pincus and Vietnam’s largest industrial real estate developer Becamex IDC, a few months ago put the spotlight on the country’s real estate market as it promises to result in breakthrough developments in the local industrial and logistics property sector. Before Warburg Pincus, many large investors such as Japan’s Kizuna JV, Chodai, Kobelco Eco-Solutions, and JESCO Holdings, as well as Singaporean developer Mapletree, had also sunk considerable amounts of money into industrial infrastructure facilities, particularly the construction of factories for lease. In late March, the long-standing Amata Corporation from Thailand received new investment registration certificates for a project in an industrial area in northern Quang Ninh province. The first phase of the project is currently in the process of development and is expected to be put into operation by the end of 2019. With the 714-ha project, Amata will make its presence felt in the north, following on from the success of its first industrial project, Amata City Bien Hoa, in southern Dong Nai province and which was its first investment outside of Thailand. With 90 per cent occupancy, the 700-ha Amata City Bien Hoa has now attracted 165 investors from 21 countries and territories with more than $2.7 billion in investment capital, which created 49,000 jobs. 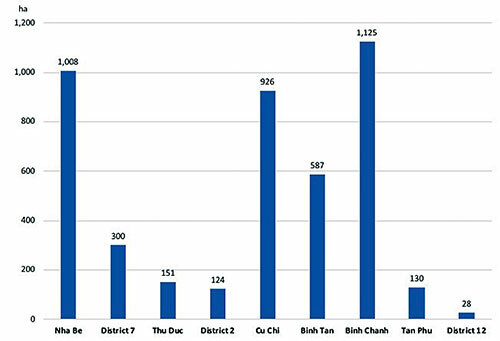 “We recorded revenue of $18.7 million in 2017 and $11.5 million in the first half of this year, for a growth rate of 29 per cent year-on-year,” said Mr. Surakij Kiatthanakorn, General Director of Amata City Bien Hoa. Another Amata project in Dong Nai is still under construction on a total area of 1,270 ha in Long Thanh district, of which 33 per cent of the total space is to be developed as a high-tech industrial park (IP) and the remaining 67 per cent as an urban community. Amata has also confirmed it will continue to expand its investment in Ha Long city in Quang Ninh province. Mapletree, another long-term industrial and logistics real estate developer, made its first foray into Vietnam 13 years ago. The Mapletree Binh Duong Logistics Park, the company’s first asset in Vietnam and covering 68 ha, is a $110 million property that houses modern logistics space. It also features customized facilities that are tailor-made to clients’ requirements. Following the success of its first logistics park, it has steadily grown its presence and further developed two more such projects: Mapletree Logistics Center in VSIP I in southern Binh Duong province and Mapletree Bac Ninh Logistics Park in Vietnam’s north. Real estate developers expressed concern about the US’s withdrawal from the TPP last year, fearing that foreign investors may reconsider their investment decisions in Vietnam. However, despite the absence of the US in the new CPTPP, Vietnam remains an attractive destination for foreign investors and the country is now considered a new world production center. 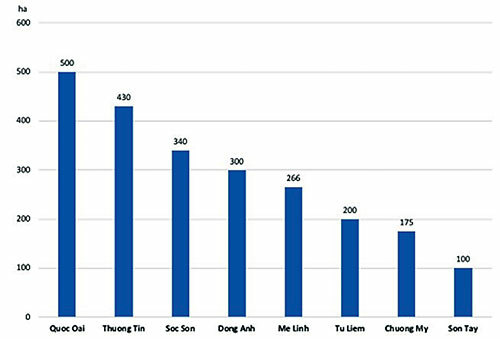 Many multi-national groups are considering relocating their production to Vietnam, where labor costs are one-quarter of those in China. “The continued strong flow of FDI into Vietnam, plus the expansion of domestic businesses, means increased demand for workshops and great opportunities for real estate developers,” said Mr. Stephen Wyatt, Country Head of JLL Vietnam. While performance is good, challenges remain in infrastructure, according to Mr. Crane. The sector remains one of the most challenging to invest in due to the arduous land acquisition process and the lack of quality assets available. Price increases for premium parks will affect the competitiveness of exports and logistics costs in Vietnam are still very high compared to other markets. He said the advantage for some developers has been strong performance due to the lack of good supply. Complexities in the land law also prohibit some strong developers from either entering or being able to scale up their land bank and provide more quality space to the market. Vietnam’s infrastructure plan is arguably more advanced than other Southeast Asian nations, with the government’s master plans clearly highlighting where improvements are required, but investment into and delivery of infrastructure is another matter entirely and this is perhaps where the government could focus more, he added. One of the major challenges for BW Industrial is to manage the balance between land availability and the scarcity of prime land as well as demand for land as close as possible to CBD locations. This is evident in the logistics sector when attracting warehouse space users to locations outside of traditional logistics hubs due to high and rising logistics real estate costs and limited availability due to the country’s very high logistics costs. “Thus, we expect and are starting to experience our strategic end users particularly in logistics looking to capitalize on future and improved infrastructure by moving from traditional locations and achieving rental and operational efficiencies,” he said.